Former architect has mixed feelings seeing ugly shopping plaza at Yonge and Eglinton he designed get torn down. 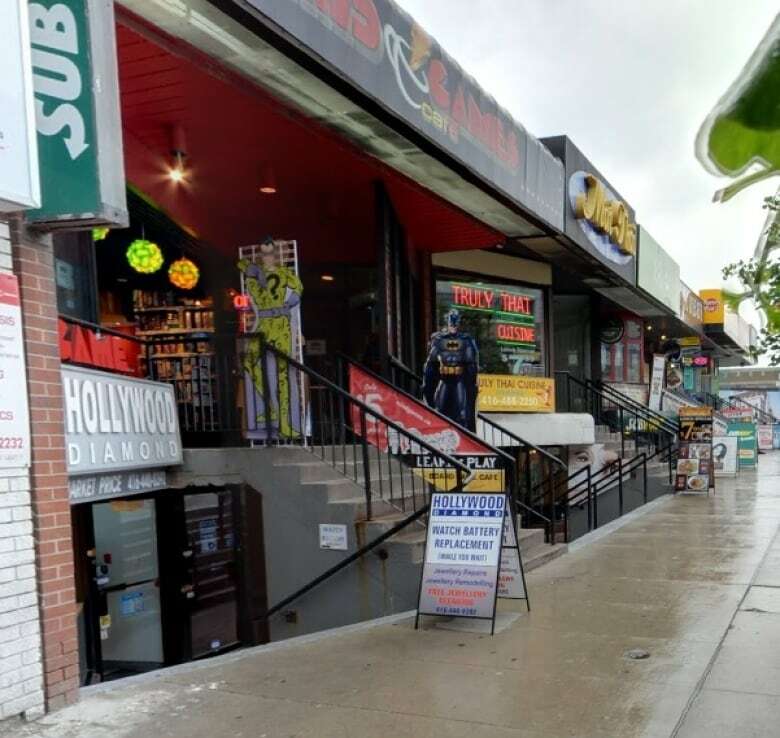 Lloyd Alter spent more than three decades hating the split-level shopping plaza that took up half a city block on Yonge Street, a few blocks north of Eglinton Avenue. 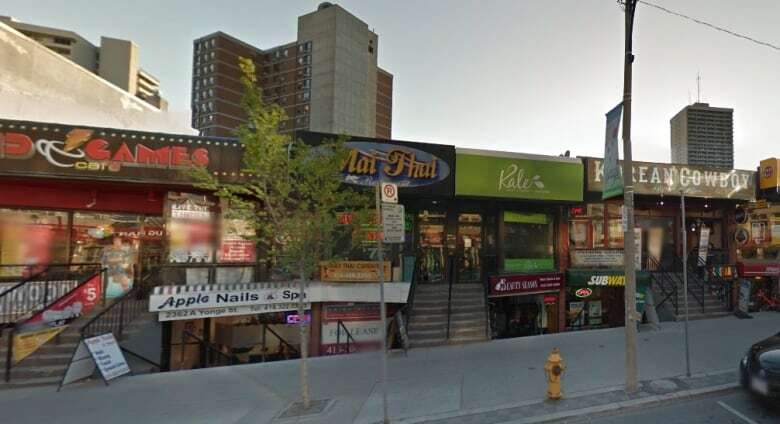 "For years, I would avoid driving up Yonge Street because of that place," said Alter. "I couldn't look at it." Alter's relationship with the building goes way back to the early 1980s, when he designed it as an architect. But when the building opened in 1984, and businesses put up mismatched awnings and signage, he immediately regretted it. So this week, when it was announced the despised plaza would be demolished, Alter could finally rejoice. But the demise of the building he so hated brought a range of feelings, including the sinking feeling his shopping plaza provided a venue — albeit an ugly one — for small retailers who gave the area an urban character. "It's getting to be a monoculture of big stores," he said of Yonge and Eglinton, citing condos, big banks, drug stores like Shoppers Drug Mart and chain retailers. "You can't find a place that has a little store anymore." The plaza, at 2368 Yonge, is being replaced by the 29-storey Whitehaus Condominiums built by Lifetime Developments and the current owner of the plaza Knightstone Capital. Businesses in the plaza included the well-liked Korean Cowboy restaurant, as well as vegetarian and Thai restaurants, a video game store and Hollywood Diamond, a family-run jeweler that has been at that location since 1988. The businesses have until June 30 to vacate. Owners at Korean Cowboy and Hollywood Diamond each said they wished for a different fate for the plaza. Alter is now an adjunct professor of design at Ryerson Unversity and the editor of the popular site TreeHugger.com. He left architecture, he said, because of the ugly results of his plans, like this plaza. The two level shopping plaza was designed to doubled the number of shops in the same street space. It both reduced the rental costs for tenants and increased the rental income for the owner. Alter designed it so the top level was close to the street level, and the bottom level of stores had their own walkway. The split-level retail idea was popular in the 1980s, making its first appearance in Yorkville before showing up in busy neighbourhoods like Chinatown and Dundas Street West. But it was completely inaccessible to the disabled, and would not be permitted to be built today. And commercially, it robbed pedestrians of windows to look into from the sidewalk and businesses of the sales that generally accompany window shopping. The assortment of stores — a "muddle," Alter called it — created visual pollution as well. "The whole model failed and I don't think anyone will miss it," said Alter bluntly. He said the building had no value. E.R.A. Architects Inc., the firm designing the new condos, agreed. It told the city the plaza "does not exhibit any unique design or physical value and is not representative of a particular design style. Nor does it have any significant historical or associative value." It took more than 30 years for Alter to have a slight change of heart about the building he designed. He posted approvingly about the demolition on his Facebook page, and was surprised to see an "outpouring of response" praising the building. "People are really bemoaning it," he said. The split-level allowed twice as many stores to inhabit the plaza, but took away the window view from the sidewalk. 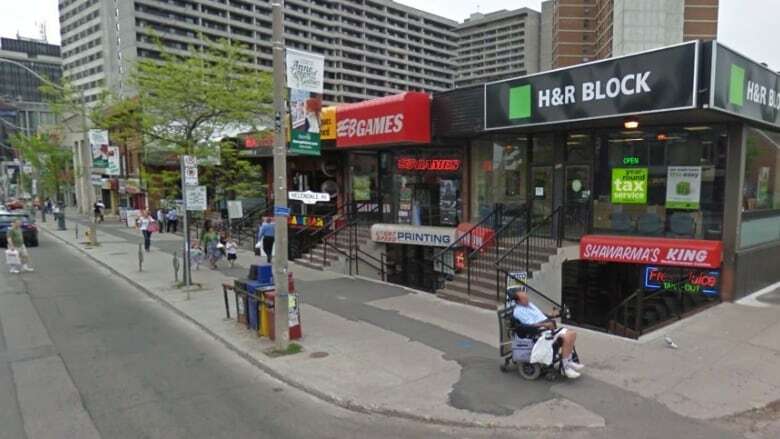 (Google Maps) High school students from nearby North Toronto Collegiate Institute used to frequent a video game store in the plaza, Gamerama, to play free video games in the 1990s and into the 2000s. A sports bar held a space on the top floor in the mid-2000s, becoming a gathering place for UFC fans. And in recent years, Korean Cowboy earned a following for its tacos. "After saying I'm not sorry to see it go, I can see that buildings like this have a real role to play in the city," said Alter. He recalled the quote by iconic urbanist Jane Jacobs, who said: "Old ideas can sometimes use new buildings. New ideas must use old buildings." Although he can't overlook the unattractive awnings and disparate shop signs, Alter said he realized what would be missing once the building is demolished. He half-jokingly said small shop owners would one day be forced to look to Hamilton for retail space. "You're not going to open up a record shop, tattoo parlour or video game store in one of these big fancy condos," Alter said.